Utahraptor was probably the largest of raptors, 23 feet from head to tail and weighing around a half a ton. It used a huge killing claw, located on it's hind feet, for slashing and ripping prey. 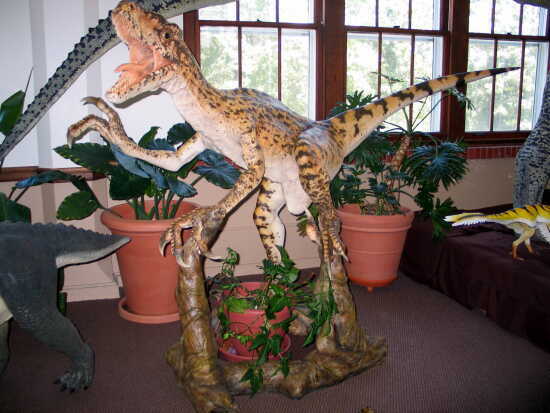 See a replica of this ferocious predator at the Bollinger County Museum of Natural History.